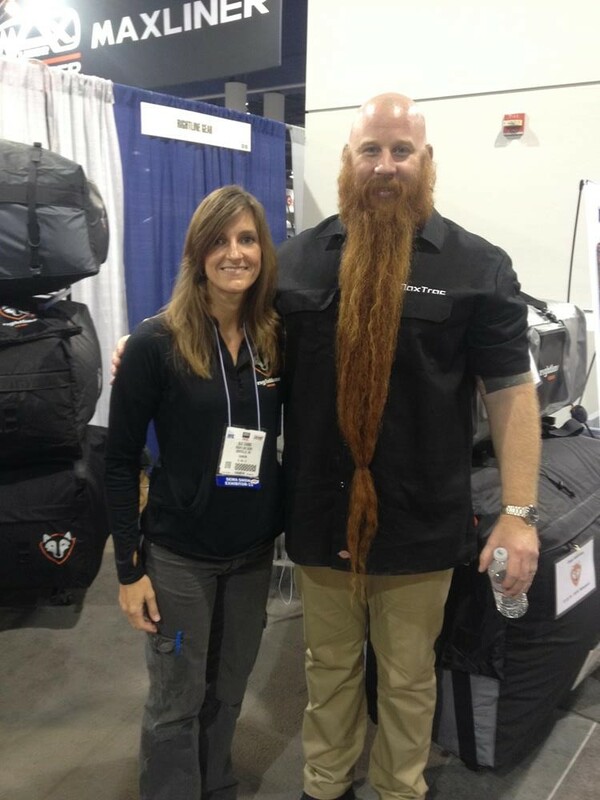 We have known the guys at MaxTrac Suspension for several years, first meeting them across the aisle at the SEMA Show. President Mike Sun and company are located in Anaheim, CA. They are one of the few manufacturer’s that focus on all 3 types of suspension modifications; lifting, lowering, and leveling. With whatever modification you choose, they want you to have true stock ride quality and comfort. MaxTrac has suspension components for Jeep, Ford, Dodge, Chevy, GMC, Cadillac, Hummer, Toyota, and Nissan vehicles. They accomplish all their quality goals with a strong eye towards affordable pricing. Check out the MaxTrac website at http://www.maxtracsuspension.com/. When we approached MaxTrac with our Jeep Build, they were excited to sponsor our vehicle. 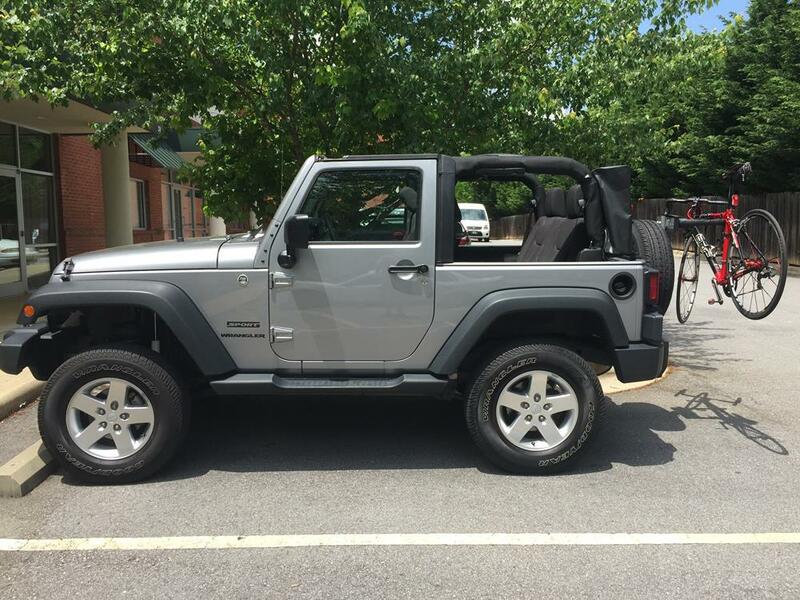 We opted to use the Maxtrac Jeep JK 3″ Coil Lift Kit with the MaxTrac Shocks. The product SKU is 889730S. This kit comes complete with front and rear lift coils, a rear track bar relocation bracket, front sway bar drop brackets, bumpstop extensions, brakeline extensions & MaxTrac shocks. Once installed, there is no problem clearing 35” tires with the stock fenders in place. Our build got underway at T and A Offroad in Hendersonville, NC. After unbolting the stock front shocks, sway bar, and trac bar, we lowered the axle and removed the front stock coils. Then, we drilled a hole in the coil perch to prepare for the self taping bolt that would hold the bump stop extension in place. We installed the bump extension (located at the bottom inside of the coil) and the MaxTrac front coils at the same time. Just picking up the MaxTrac coils and shocks compared to the OEM parts got us excited. What a major difference in weight, quality, and appearance. I did not expect that huge of a difference – Wow! 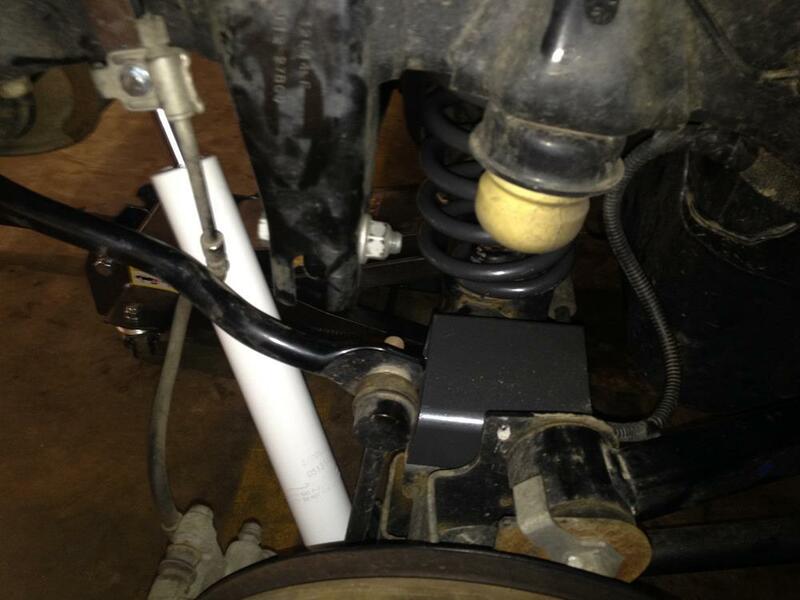 After installing brake line extensions, we installed the front sway bar brackets to the sway bar and then re-installed the sway bar. We drilled a new hole for the trac bar on the front axle to compensate for the amount that the vehicle would be lifted. We added the MaxTrac front shocks, lowered the vehicle, and tightened the trac bar. The rear install went a little quicker than the front. After unbolting the rear shocks and trac bar and adding the brake line extensions, we lowered the axle and removed both stock coils. 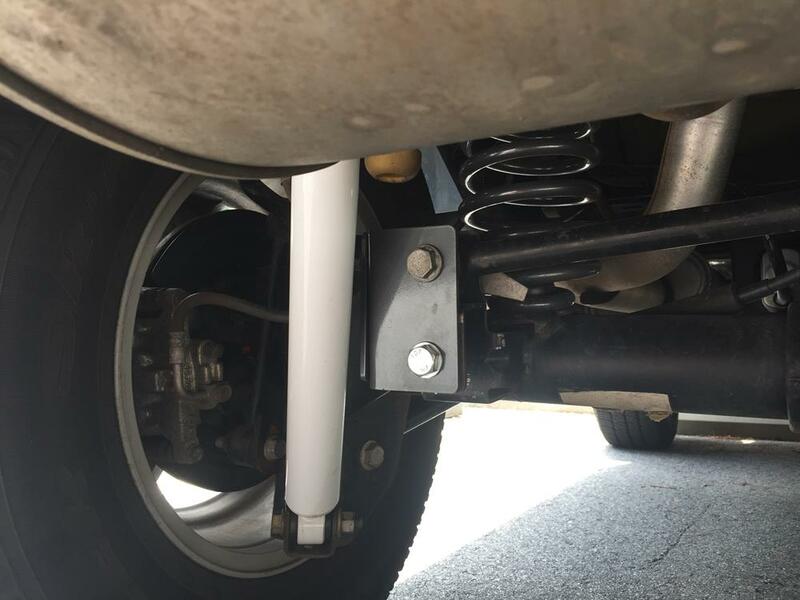 We installed the rear bump stop extension(s) (the gray piece below the yellow bump stop in the photo below). We needed to drill a new hole inside the trac bar bracket on the axle to compensate for the amount that the vehicle would be lifted. 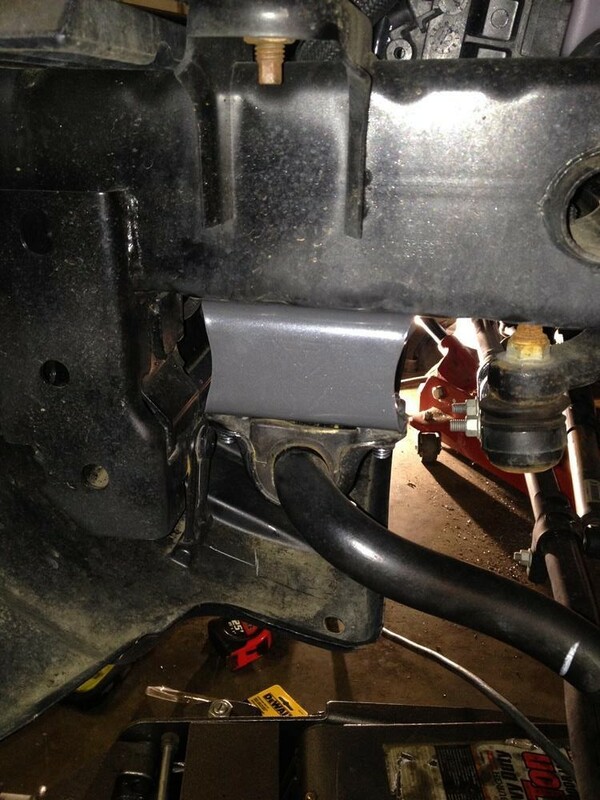 A MaxTrac support bracket is added before the trac bar is bolted back in place. 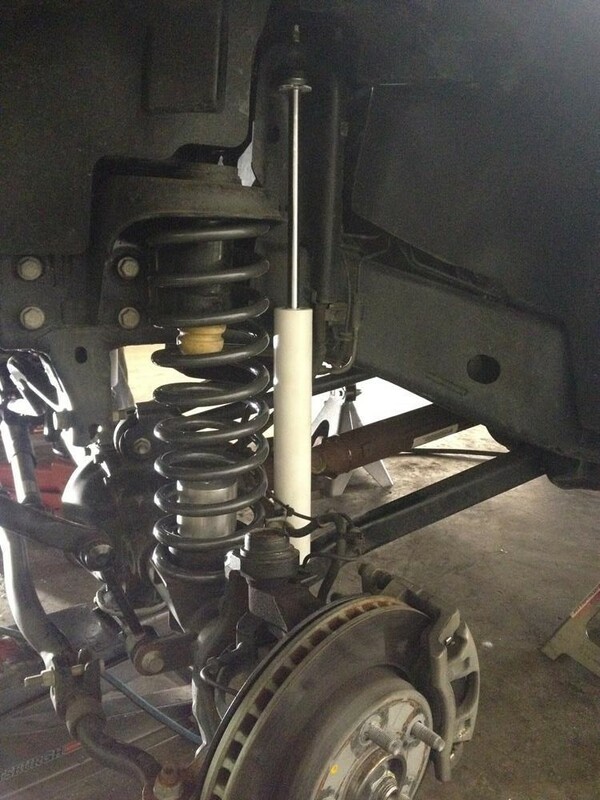 We installed the MaxTrac shocks, lowered the vehicle, and tightened the trac bar. Now we had a lifted Jeep, but with the stock wheels and tires in place – quite an interesting look! The ride on the road, both street and highway, is phenomenal. The steering has remained tight and very controllable. The white shocks look great (we will be adding the MaxTrac stickers at a later time). I am tremendously pleased with everything about the lifted Jeep. We will give the Jeep a run off road once the proper tires are added – this blog will be updated at that time. Thanks to everyone at MaxTrac for taking part in our build. We cannot recommend their company enough for your suspension needs.